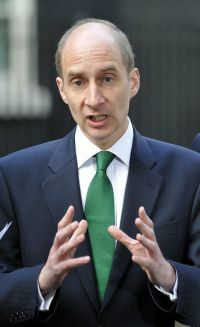 Andrew Adonis is a Labour Peer (Baron Adonis), an academic, something of a railway buff, and Secretary of State for Transport in Tony Blair’s government from June 2009 until May 2010. He endeared himself to the air transport community by appearing at the London Aviation Club soon after his appointment, very quickly grasping the essentials of the job. He gained a PhD in modern history at Nuffield College, Oxford, was at the Financial Times (FT) for five years (1991-96) before moving to the Observer as a political columnist. He has followed the Airports Commission with particular interest and at last week’s Runways UK delivered a speech largely based on this article reproduced from the FT Saturday 4 July. Howard Davies’s report on airport capacity this week is the third official recommendation of an extra runway at Heathrow in the past 12 years. The Davies Commission cost £20m, lasted three years, and makes a highly convincing case for the expansion of the UK’s major hub airport. But its proposed runway faces a political obstacle course to gain consent. The government will take up to six months to make up its mind; the Cabinet is split; and Boris Johnson, the mayor of London, is implacably opposed, as is Zac Goldsmith, the likely Tory candidate to succeed him. Mr Goldsmith is MP for Richmond Park, which is on a flight path to Heathrow. Even if there is a political green light, years of planning battles lie ahead before diggers are on the ground. All this fits into a narrative of British incapacity in developing major infrastructure, with Nimby (“not in my back yard”) opponents almost impossible to overcome. They supposedly do things so much better elsewhere, whether France with its high-speed TGV trains, Dubai, whose airport has just overtaken Heathrow in passenger numbers, or China where new infrastructure is built at amazing speed and opponents given short shrift. The root of the problem, it is often argued, is that Heathrow is in the wrong place. It is far too close to central London, and on the west, subjecting millions to aircraft noise, the result – again – of a lack of long-term infrastructure planning and a patch-and-mend mentality which is costing the country dear. But the history of Heathrow tells a different story, and a significant one for understanding the relationship between government, infrastructure and popular opinion in Britain. Far from being unplanned and in the “wrong place” as a major airport, Heathrow was the result of an intensive options analysis of the best location for London’s international airport at the end of the second world war. Previously the international airport was at Croydon. Patrick Abercrombie, official planner of the postwar capital, assessed a range of sites, seeking to reconcile three factors: proximity to the capital and its economic hinterland, accessibility to the wider country, and mitigating the negative impact of the airport’s operations on its local population. It was this exercise which led to the choice of Heathrow, which was deemed to be sufficiently close to the capital’s west/central economic heart, while being just far enough out to make the impact acceptable, and accessible from the west and north to serve the rest of the country. The airport was built and opened in just two years. The east-west London Crossrail line, and the north-south HS2 line approaching London via a junction station near Heathrow at Old Oak Common, will enhance the connectivity of the airport over the next decade, and make it harder still to relocate it. They tell a similar story of painful, but ultimately pragmatic, reconciliation of economy, democracy and infrastructure. Crossrail follows decades of stop-go planning for a new tube line through the heart of London to relieve the Central Line and provide direct services to suburban and commuter destinations to west and east. What finally clinched the decision to go ahead was the combination of London’s crisis-point congestion, together with the political weight of the new mayoralty of London created by the Blair government in 2000 precisely to tackle this crisis. Together, Ken Livingstone and Mr Johnson made Crossrail unstoppable. The mayoralty is driving forward many other key infrastructure projects essential to accommodating London’s growth: Crossrail 2, the Silvertown Tunnel and the Thames Tideway Tunnel among others. The development of the “northern powerhouse” in Greater Manchester, also with an elected mayor, is in many ways an imitation of this London model of a mayoralty with particular responsibility for planning, funding, and gaining popular consent for infrastructure. Other conurbations are likely to follow suit. Tellingly, part of the reason why the Heathrow decision is proving so difficult is because the London mayor has positioned himself against a major infrastructure project for which he has no responsibility. High speed rail is a similar story of prevarication followed by decisive action at crisis point. For decades, Britain stood out from the international trend to build entirely new rail lines to tackle congestion and connectivity, apart from the short Channel tunnel Rail Link (HS1). Instead we spent billions on upgrading old Victorian lines. The turning point was the last modernisation of the West Coast main line, which links London, Birmingham and Manchester. Costing nearly £10bn, yet delivering only incremental capacity benefits on a railway infrastructure close to breaking point, it concentrated the minds of transport planners on the need for a completely new line to meet future capacity demands. Similar challenges led Japan to open the world’s first high-speed line, between Tokyo and Osaka, as long ago as 1964. Not until 2010 did the UK propose to follow suit as a means of linking its major conurbations. The result is HS2, which will connect London, Birmingham, Manchester, Sheffield and Leeds – the economic and population heart of England. Supporters and opponents of the project continue to be locked in argument over its costs and benefits. But despite all the controversy about HS2, it has proceeded from announcement to near irreversibility in five years and it will start to open in another 10. So if Britain was late to high-speed rail, it is now moving boldly and decisively. A similar story can be told of adaptation to infrastructure requirements in other sectors. A transport minister in the 1930s rejected motorways as “fascist”. The first plans for a national network were prepared during the war, alongside those for Heathrow. An entire motorway network was then built in 30 years from the late 1950s. Britain may agonise for years, sometimes decades, over essential infrastructure, but we generally build it in the end. Aircraft are getting quieter and those who choose to live near an airport (perhaps because they work there? )must be aware that aircraft noise is something with which they must learn to live. The cost of closing Heathrow and building a totally new airport with associated infrastructure would be horrendous. Let us applaud those who perceived Heathrow to be the best solution to London's airport needs.